John Dingell is a congressional dinosaur and even might admit it himself. The longest-serving member of Congress is leaving office at the end of this year and he doesn’t sound like someone who’s going to miss the place it has become. Instead, he seems to be missing the place it used to be. Dingell, a Michigan Democrat, is now 87 and has seen lots of change over many decades of service. He has led powerful House of Representatives committees and has put his name on key legislation. He worked to enact laws with the help of Republicans — and it’s that bipartisanship that appears to have taken leave of Capitol Hill. Dingell expressed understandable frustration with the new climate in an interview with USA Today. The culprit? It’s the tea party wing of the “other” party, the Republicans who share power with Democrats on Capitol Hill, according to Dingell. Dingell is far from being alone in wishing for the good old days. But, indeed, it’s the “good old days” that have become the target of the tea party members’ own anger and frustration. Have they made Congress a better place to serve the people who sent them there? John Dingell doesn’t believe so. The old curmudgeon is glad to be leaving and will leave the partisan bickering to others. 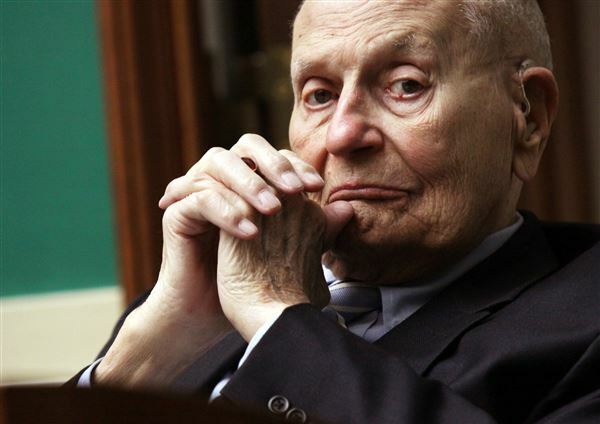 When John Dingell says that life in Congress has become too much to handle, then you know things have gone badly. Rep. Dingell, D-Mich., is the longest-serving member in the history of the U.S. House of Representatives. Today he announced he is retiring at the end of his umpteenth term. For 58 years Dingell has been serving the people of his House district. I’m trying to think if there has been a more cantankerous member of the House then Dingell. One name comes to mind: the late Jack Brooks, D-Beaumont, who served for 40 years before losing his seat in the landmark 1994 Contract with America GOP sweep of both houses of Congress. “Sweet Ol’ Brooks,” which he called himself, was my congressman and we had, shall we say, a checkered relationship during the years I covered him while working for the paper on the Gulf Coast. Dingell is at once a poster for and against term limits. He made congressional service his career, which term limits proponents say runs counter to the Founders’ wishes. Then again, the folks in his Michigan congressional district thought enough of him to keep re-electing over the course of 50-plus years. So, another longtime veteran is calling it a career. When this man says public service in Washington has become “obnoxious,” then you’d better break out the gas masks.